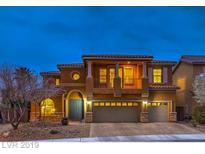 Below you can view all the homes for sale in the Aliante North subdivision located in North Las Vegas Nevada. 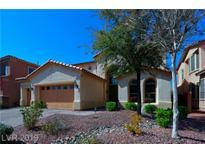 Listings in Aliante North are updated daily from data we receive from the Las Vegas multiple listing service. To learn more about any of these homes or to receive custom notifications when a new property is listed for sale in Aliante North, give us a call at 702-323-5963. Property Located In Wonderful Gated Community. MLS#2088194. Realty ONE Group, Inc.
Beautiful 2 story home in gated community 5 Bdrms 3 and 1/2 bath Valuated ceilings, large spacious kitchen Granite Counter extended; butlers Pantry Double Oven Formal Dining Room, spiral staircase 20 inch tiles Covered Patio Great Room Fireplace MLS#2081301. Keller Williams Market Place I. There is also a theater room that is perfect for watching your favorite movies. Come check this Beauty Out! MLS#2076880. eXp Realty. Upstairs features 4 large bedrooms, 2 full baths, large loft and balcony. MLS#2076864. LUXE International Realty. The home also includes a finished 3-car garage, synthetic turf, a huge pool, & a massive master retreat. MLS#2076654. Purplebricks Inc.
Upstairs has a media /theater/or whatever you would like room, make it your own and enjoy. Come check this Beauty Out! MLS#2070209. eXp Realty.